To lend authenticity to your home when planning your roof replacement, choose a material that matches your home’s architectural style. At Arry’s Roofing Services Inc., we offer a wide selection of roofing materials and style options, making it easy to find an option that will complement the other components of your exterior. Today’s most popular roofing material is undoubtedly asphalt shingles. They strike the perfect balance between affordability, longevity and aesthetics and can complement any architectural style with a sloped roof. Homes featuring traditional architecture with “square” floor plans, such as Colonial Revival or Federal architecture, look great with three-tab asphalt shingles. 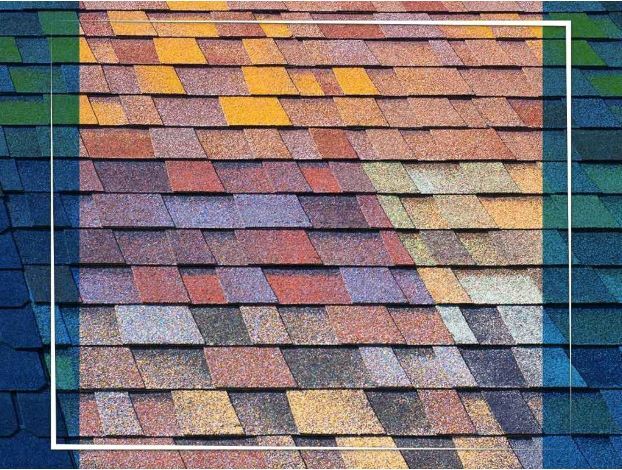 If your home is built in a more ornate style like Victorian, Craftsman, or Gothic Revival that traditionally features wood shakes, dimensional shingles like the GAF Timberline® shingles are ideal. Metal is an extremely versatile roofing material. If you’re thinking about the now-typical standing-seam metal roof design, you should know that metal roofs are available in several styles that mimic traditional ones, including tile and slate. We recommend stone-coated metal shingles if you want to retain a traditional look while taking advantage of the benefits of metal roofing. Tile roofs a defining feature of Mediterranean- or Spanish-style architecture. The warm red hues complement stucco siding and wrought metal windows. Homes with sprawling floor plans and gentle-sloped roofs, such as Ranch-style homes, can seamlessly transition to tile roofs. In addition to traditional clay tiles, we also offer concrete tiles as a more affordable yet equally strong option. Flat and low-slope roofs are a staple of contemporary architecture. There are several options for flat roofing depending on how you intend to use your roof: traditional built-up roofing (also known as “gravel roofs”) and modified bitumen roofs, ideal if you expect high foot traffic on your roof. Single-ply systems like EPDM and TPO are seamless solutions for thin roofs and are more energy-efficient thanks to their outer layers that can reflect sunlight, reducing the amount of heat absorbed through the roof. Whatever home style you may have, Arry’s Roofing Services Inc. has the roofing material to match. Call us today at (727) 938-9565 or fill out our contact form to schedule a free in-home consultation and estimate. We serve Tarpon Springs and nearby areas, including Tampa and Palm Harbor.